- registered in the UK as a brand name to promote a range hot water heating appliances from solar thermal to ducted air to water heat pumps. 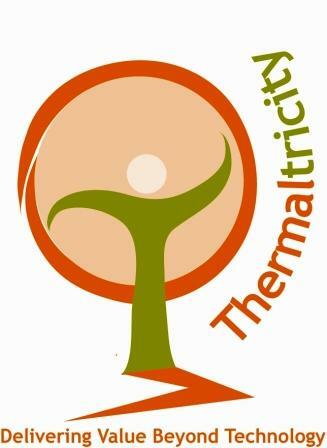 In 2014, Thermaltricity International Co Ltd was registered in Hong Kong. Due to the introduction of the feed in tariff (FIT) by the UK government department of energy and climate change (DECC) in 2011/12, the interest in solar water heating and heat pumps declined. This one policy was the beginning of the end of solar water heating at an affordable price. increased global sales and installation of solar photovolltaic panels has moved from single roof top home systems to large scale solar farms and micro grids, resulting in multi a billion dollar industry. Thermaltricity International is the trading arm of Solar Speedflex Co Ltd (HK) pioneering change to the failed government/industry written up policies. We have all been brainwashed for to many years that solar PV panels is the future to the worlds energy needs at an efficiency of 16% tested at 26c, while the facts show solar PV panels loose up to 20-25% of its 16% efficiency due to the increase in the panel temperature up to 80c.